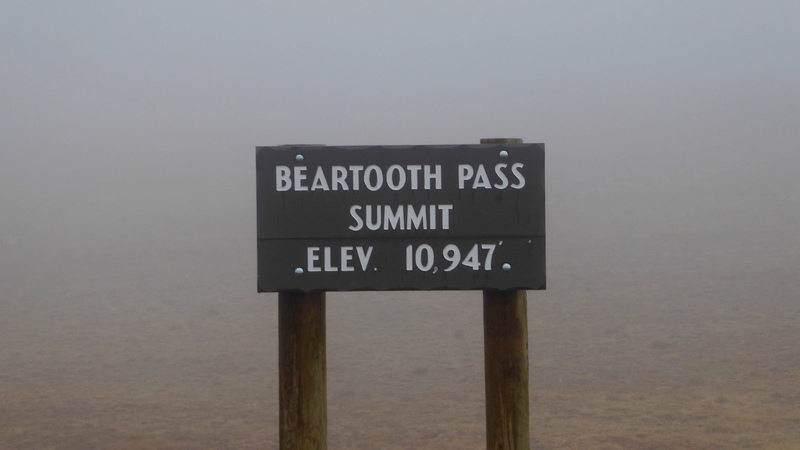 We had been told by local people that the Beartooth Pass All American Road may close for the winter at any time so that was our destination for our first day off in Week 3. At the beginning of our journey we drove the 15 mile gravel road (that we avoided last week) and found it was tolerable. The reservation half was rough but the Montana section was fine. 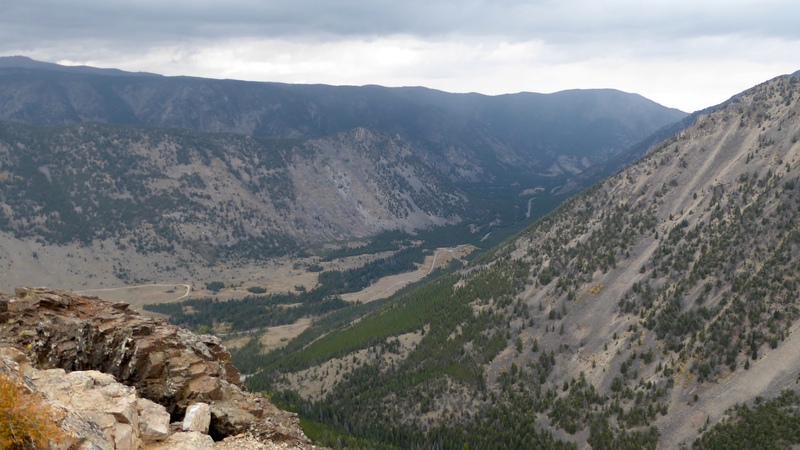 We went south towards Red Lodge, Montana. 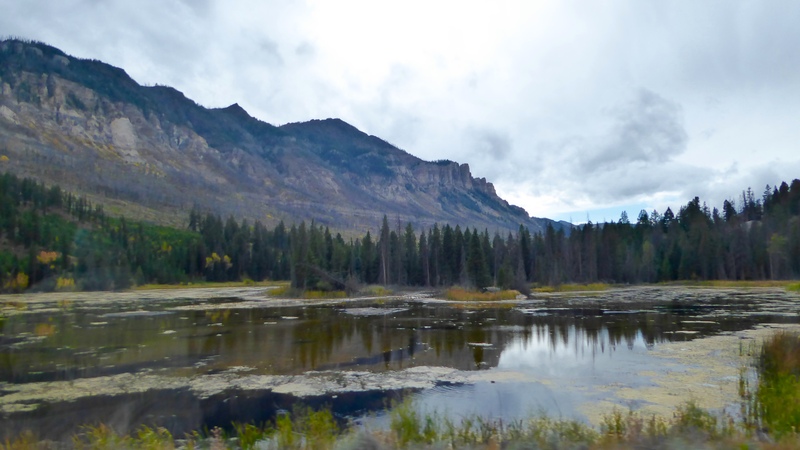 Red Lodge is a tourist town that had been recommended numerous times and was on our route to Beartooth Byway. Once we got there we decided to keep going as the weather was turning questionable. 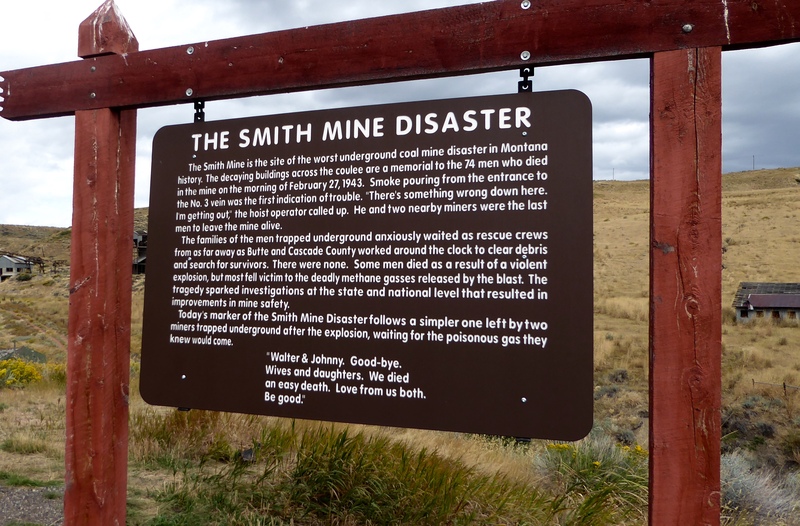 Along the way we came to the Smith Mine Disaster site, listed in the National Register of Historic Places. Seventy four miners died at the Smith Coal Mine due to an explosion and methane gas poisoning in 1943. The exact cause is unknown but back then miners were allowed to smoke in the mine. 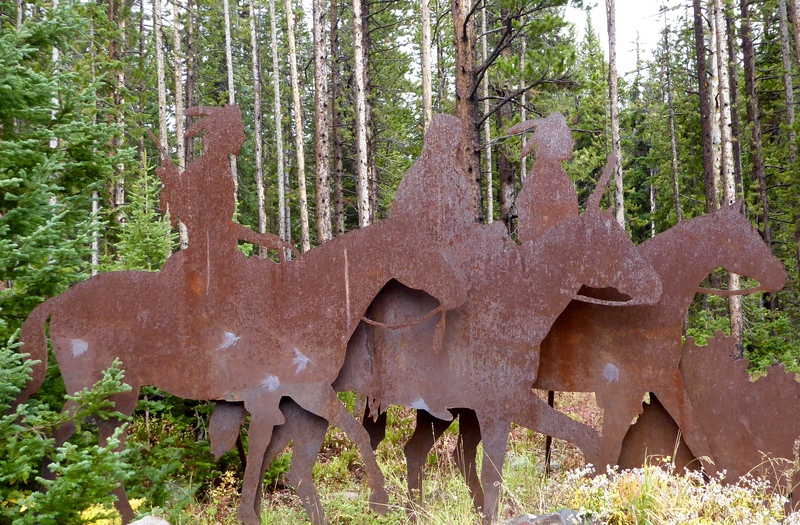 Just thinking….. Only 3 people survived in what remains Montana’s worst mining disaster. 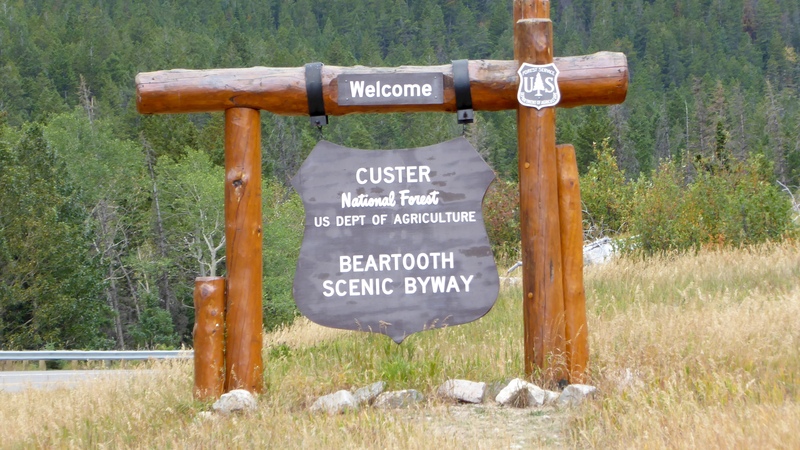 The Beartooth Scenic Byway extends 55 miles from Red Lodge, Montana over Beartooth Pass, into Wyoming and back into Montana at Cooke City near the north east entrance of Yellowstone National Park. Charles Kuralt once called it the most beautiful highway in America. We did not see it at its best as it was overcast and rainy, but it was still impressive! There were some nice scenic viewpoint stops along the way. 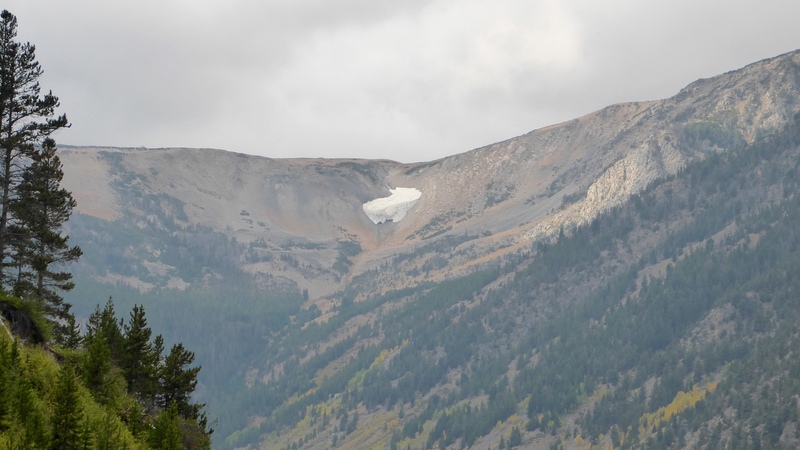 The route across the Beartooth mountains was first accomplished by white men in 1881 by Civil War General Philip Sheridan and 124 men returning from Yellowstone. The road still utilizes much of that original route. 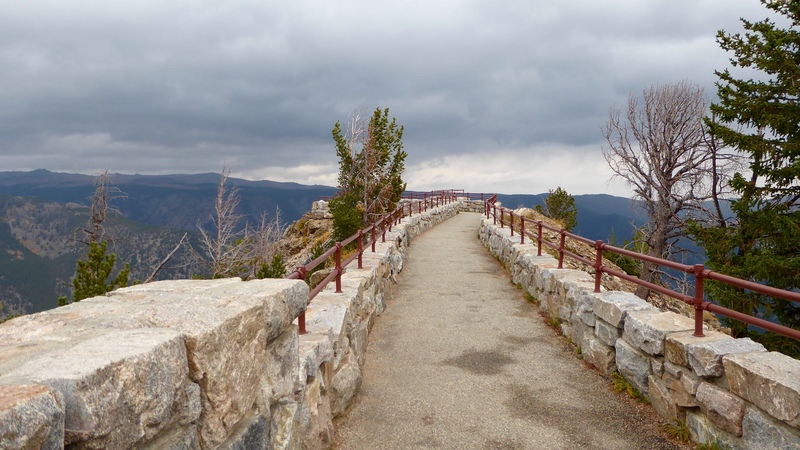 It is an exciting series of switchbacks that climb to an elevation of 10,947 feet. When we got to the top we couldn’t see anything! We were in the clouds. Our GPS had a slightly different elevation – 10,974. We decided to take a different route on our return so no Red Lodge visit on this trip. 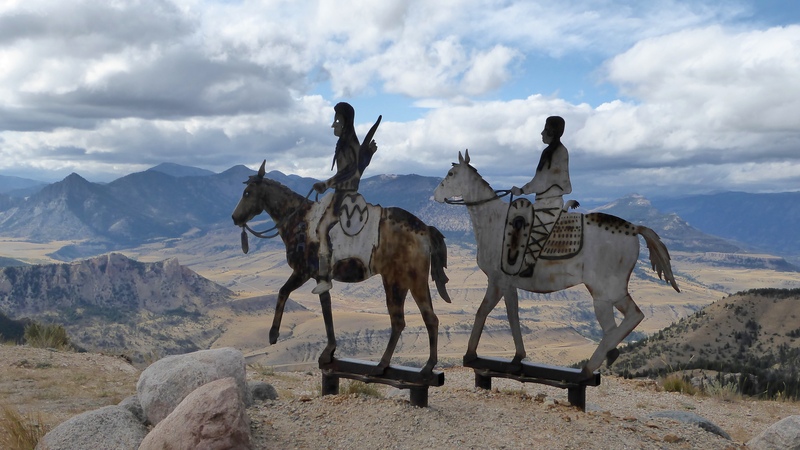 The Chief Joseph Scenic Byway goes back into Wyoming towards Cody. 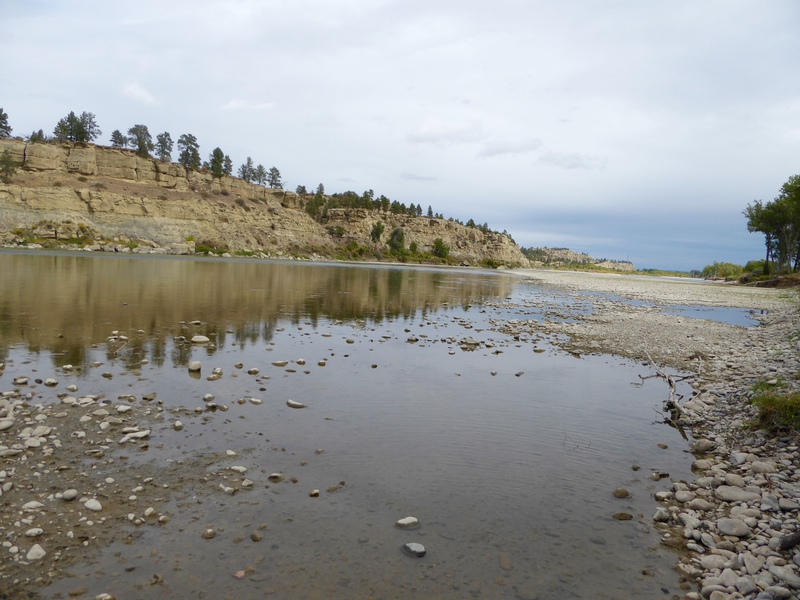 This area has many historic stops referencing Chief Joseph and the Nez Perce’ attempts to escape the revitalized Seventh Calvary in 1877. “As a band of the Nez Perce had outfought and outmaneuvered the US Calvary in the fall of 1877, the newspapers picked up the drama…..The majority of public sentiment was blatantly against the army in this David and Goliath war…… The Seventh Calvary was all but wiped out a year earlier at the Battle of Little Bighorn and was anxious for redemption…..The campaign became a personal crusade for the military officers.” Quotes are from roadside placards. 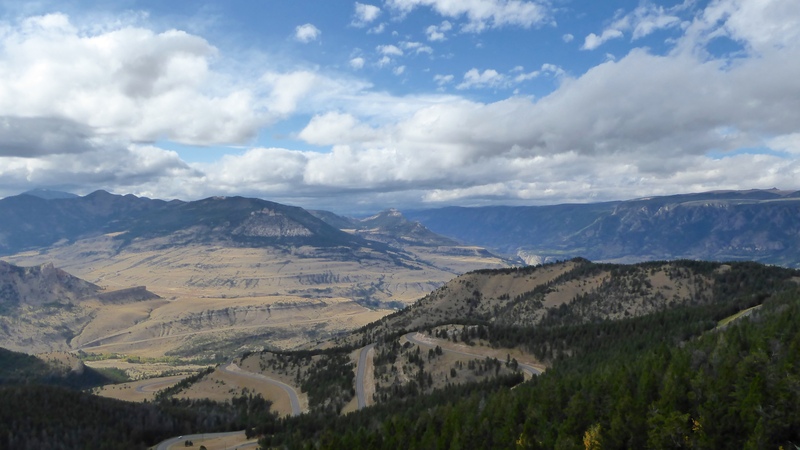 The views were spectacular along the Chief Joseph Scenic Byway! 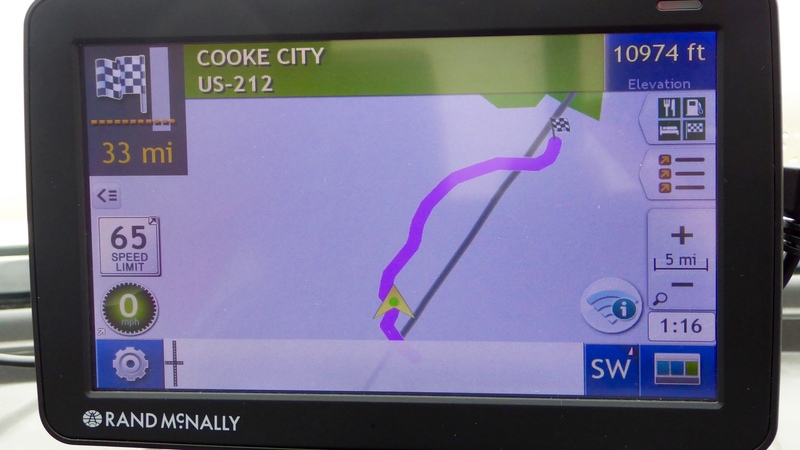 We have had issues with our GPS several times here in the wilds of Montana and the return trip back to the park was no exception. 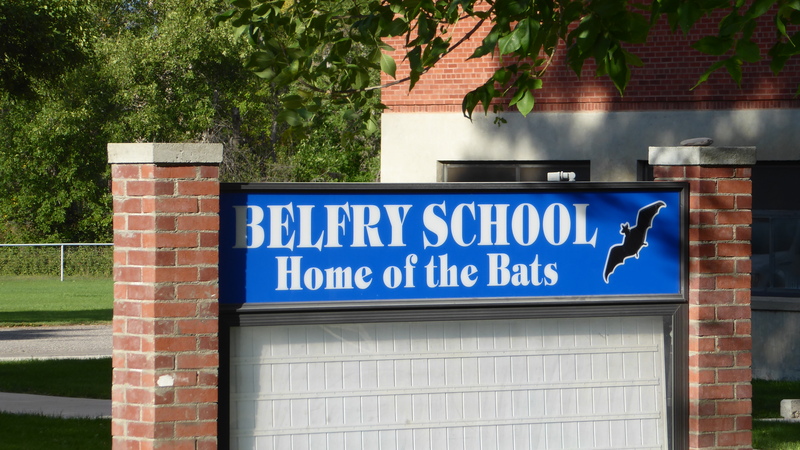 We were directed into the little town of Belfry and instructed to go 11 miles down a road that was clearly marked “dead end.” We decided not to follow that direction and as we were turning around and rolling our eyes (again), we noticed the sign for the Belfry Elementary School – Home of the Bats! Thank you for the chuckle GPS. 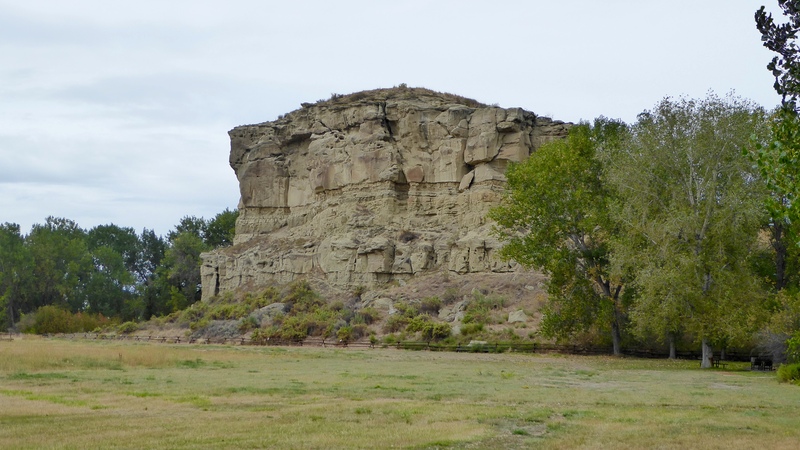 Changing directions, we traveled north-east to Pompey’s Pillar, a National Historic Monument 25 miles east of Billings. 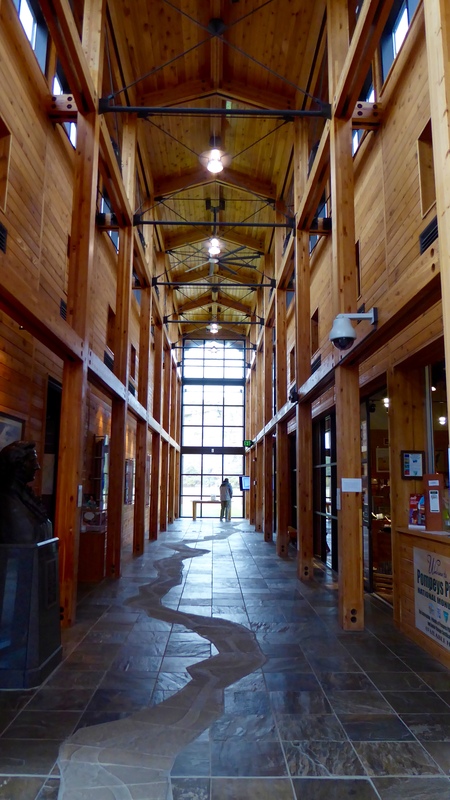 We found one of the best visitor centers we have ever been to and we were even allowed to let Elko walk on the grounds! 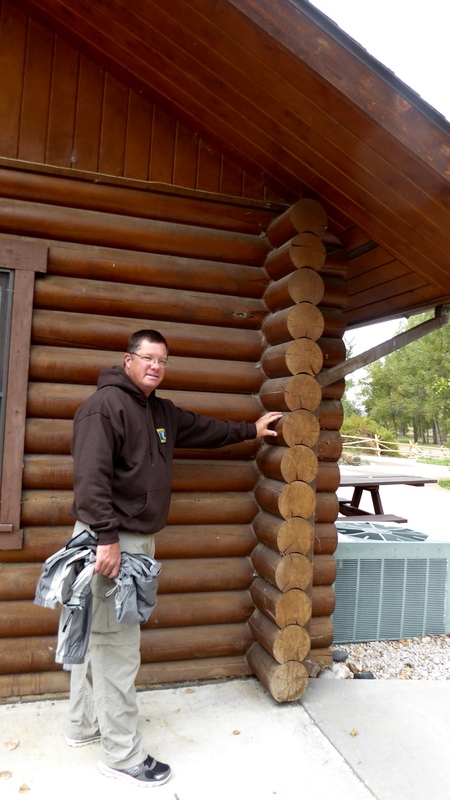 Randy, the engineer, trying to figure out how corners of log cabins are put together. In 1801, most Americans lived within 50 miles of the east coast. Two years later the Louisiana Purchase doubled our country’s lands and Thomas Jefferson was interested in exploring west. He sent Lewis and Clark and the Corps of Discovery out in 1804. 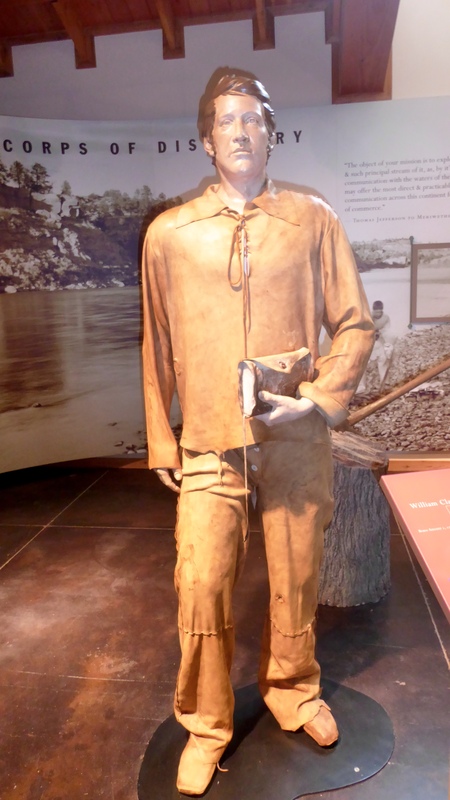 The Corps of Discovery was on the homeward side of their two year journey when Lewis and Clark split up in early July 1806 near present day Missoula. They were to explore different regions and join again near present day Williston, North Dakota. William Clark and his group stopped at this location on July 25, 1806. 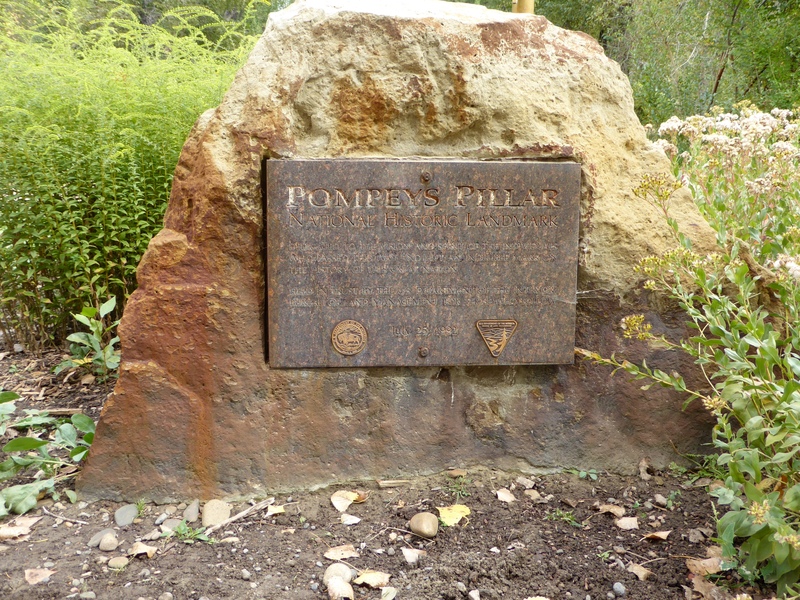 Seeing this sandstone rock, Clark named it “Pompy’s Tower” after Sacagawea’s son Jean Baptiste. 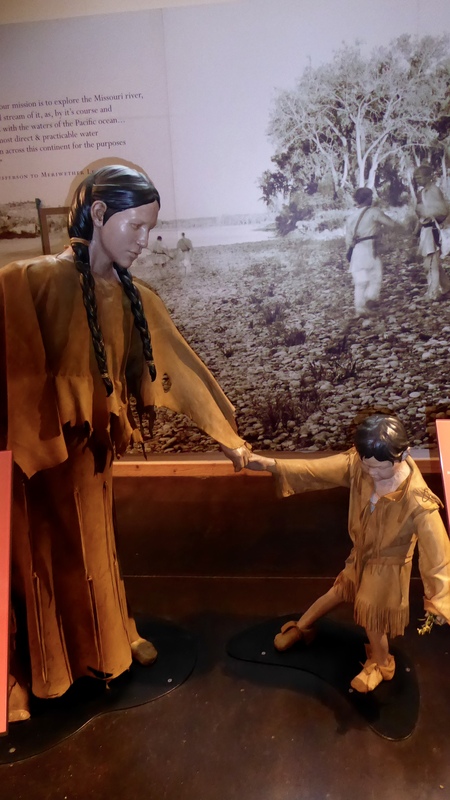 Clark had given the boy the nickname “Pomp” meaning Little Chief in Shoshoni. It was later renamed Pompey’s Pillar. 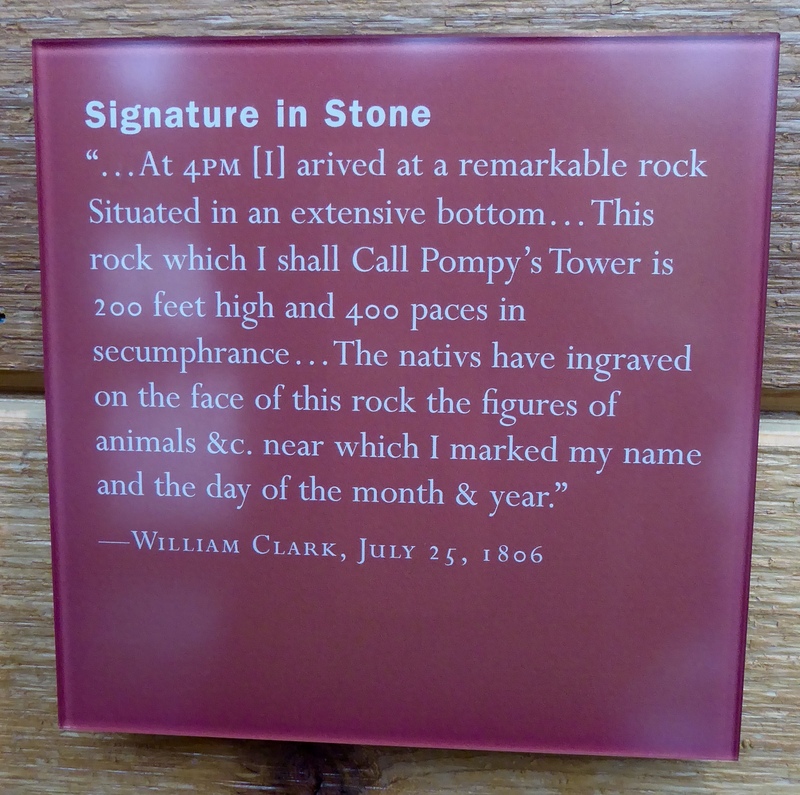 Noting Indian petroglyphs in the rock, William Clark wrote his name and date in the rock. 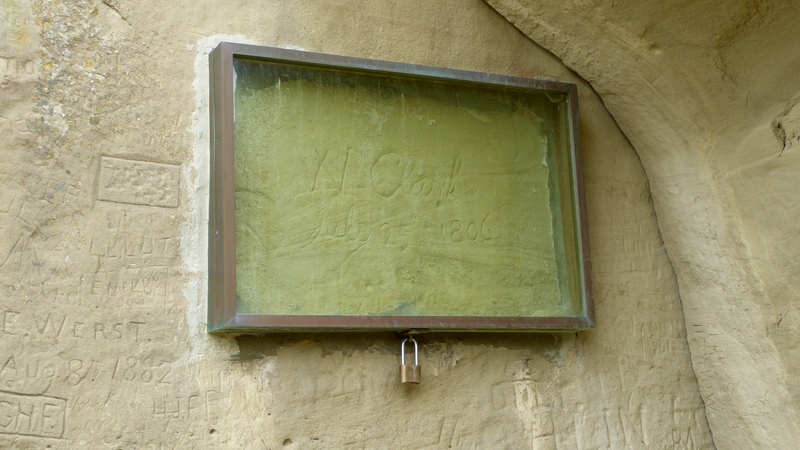 It is the ONLY physical evidence of their journey along the entire route of the Lewis and Clark Expedition. Of course there is much evidence of their journey in journals, oral histories, and maps. Additionally, Lewis and Clark sent 178 plant samples and 122 animal specimens back to Thomas Jefferson. It was interesting to learn that there were only two species that survived the journey back east – the magpie and prairie dog! Why is that not a surprise? 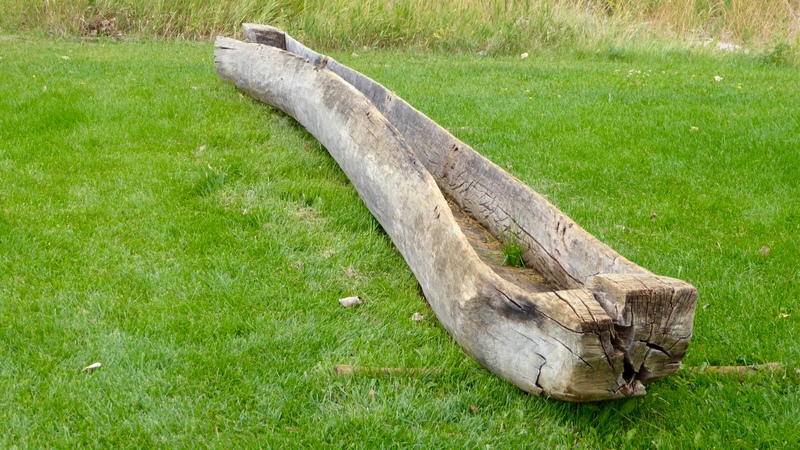 William Clark and his group journeyed along the “Rochejhone” River in dug out canoes lashed together. “Roche jaune” literally translates from French as “rock yellow” or Yellowstone. 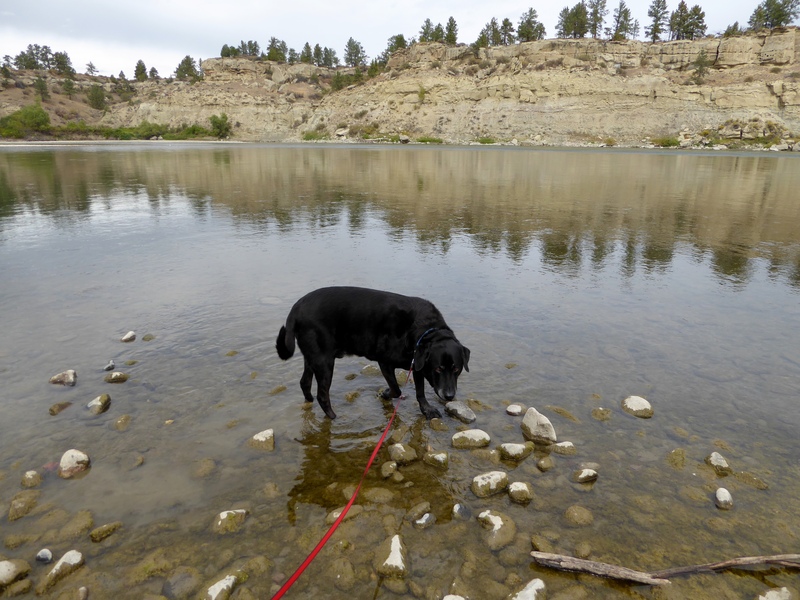 Elko didn’t swim (our lab doesn’t swim) in the Yellowstone River but he did get a drink. 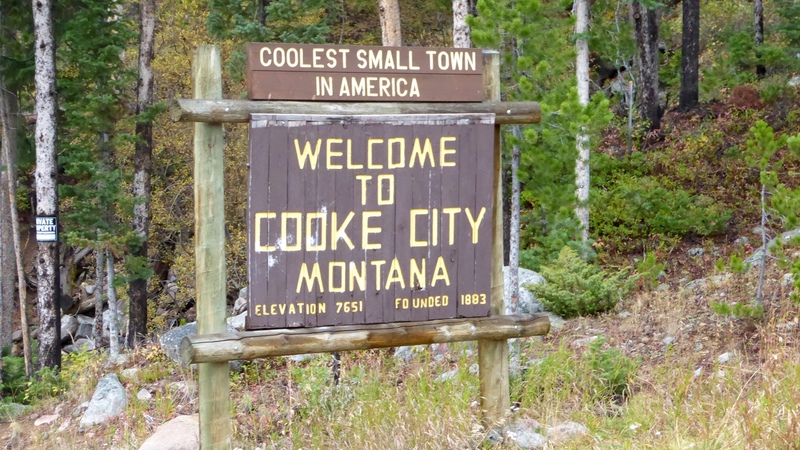 Montana Days off – Week Four – Friends are coming! Looks like you guys had another great exploration! We’re hitting the road on Friday and will stay in Butte for a couple of nights. Then on to Billings! Looking forward to having you nearby!